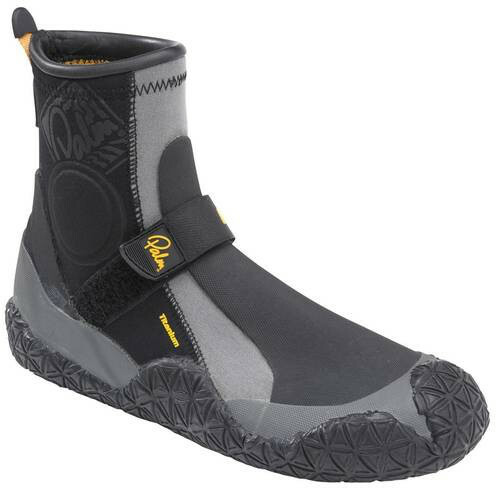 The uppers are made from 4mm Thermofibre lined neoprene and have additional protective layers for added durability. The soles are Palm's stiffened Dimond Traction soles for grip and security. There are completed with a stabilising strap across the ankle.